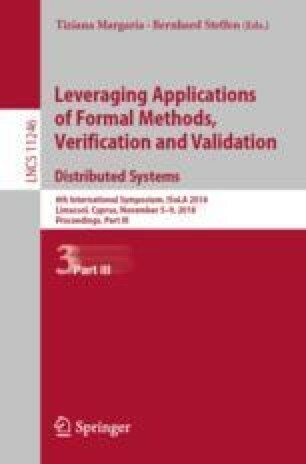 Model-Based Systems Engineering and early simulation based Validation & Verification are now key enablers for managing the complexity in the development of modern complex systems like Cyber-Physical Systems. Models provide a formal account of system requirements and design decisions. Model simulation enables both design exploration and design versus requirements correctness assessment. Model simulation activities rely on Simulation Systems (i.e. systems that execute the model simulation). System execution environment models play a key role during these activities. Appropriate models must be developed for each kind of analysis conducted during Validation & Verification. More and more often, complex Systems Engineering is conducted in Extended Enterprises and the simulation activities are performed using partial models that must be completed with mock-up models for missing parts of the system. The development of Simulation Systems is thus costly and error prone and would benefit from the same Systems Engineering principles that are applied to the product. We propose a methodology for a seamless integration of the Simulation Systems development in the Products Systems Engineering. This method imports the available elements from the models of the system and its environment, from the Systems Engineering for Product space to a dedicated Systems Engineering for Simulation space. The required mock-up models are then defined in the Systems Engineering for Simulation space. As a result, we target a better management and reuse of the various environment and mock-up models in the various simulation activities during the development of the same product. This proposal is independent both of the actual methods and tools used to model the system and of the simulation environment. The authors would like to thank the MOISE project members for their contributions as well as the IRT-SE and the French Commissariat Général à l’Investissements and the Agence Nationale de la Recherche for their financial support in the frame of the Programme d’Investissement d’Avenir.